'What Is Love?' a gorgeous unframed love poem print. Would make the most perfect wedding gift. What a wonderful gift for someone you love. 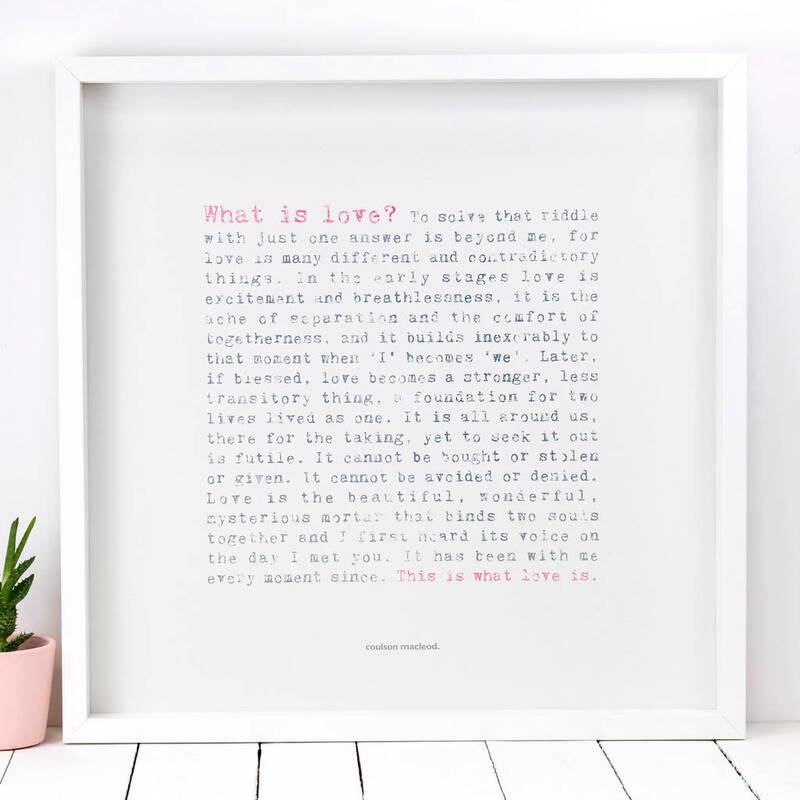 In a soft distressed typewriter-style font the main text is in grey and the words 'What is love?' and 'This is what love is.' are in a soft pink. This unframed print will be posted rolled in a heavy-duty cardboard tube making it an ideal gift ready for you to frame. The paper is 100% recycled so is therefore slightly textured with flecks of the recycled material, giving it a natural, off-white, appearance. Unframed: H50 x W50cm. Your paper print is a standard size so will fit an off-the-shelf frame, such as the Ribba from IKEA (as shown).